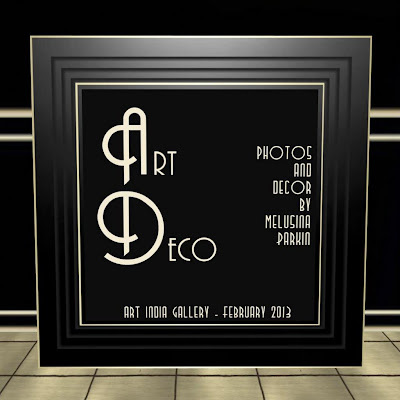 I really like Melusina Parkin's exhibit celebrating art deco over at the Art India Gallery. 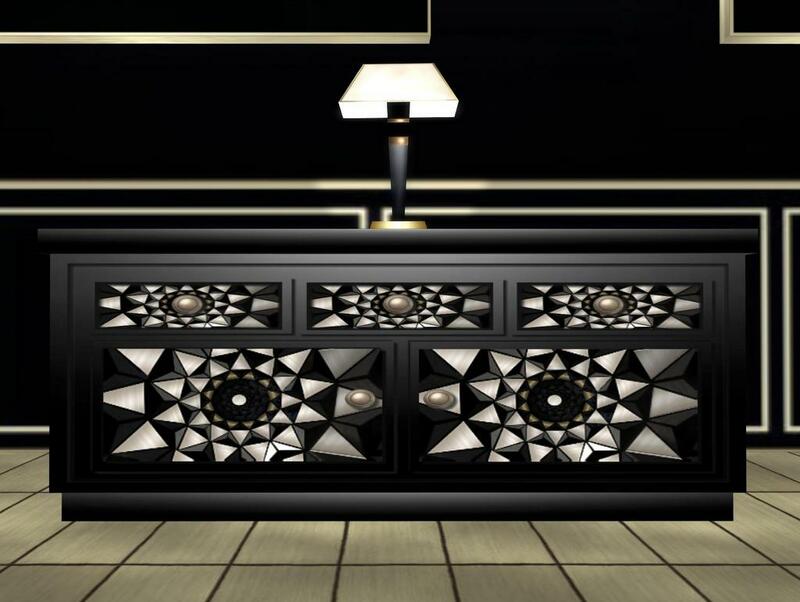 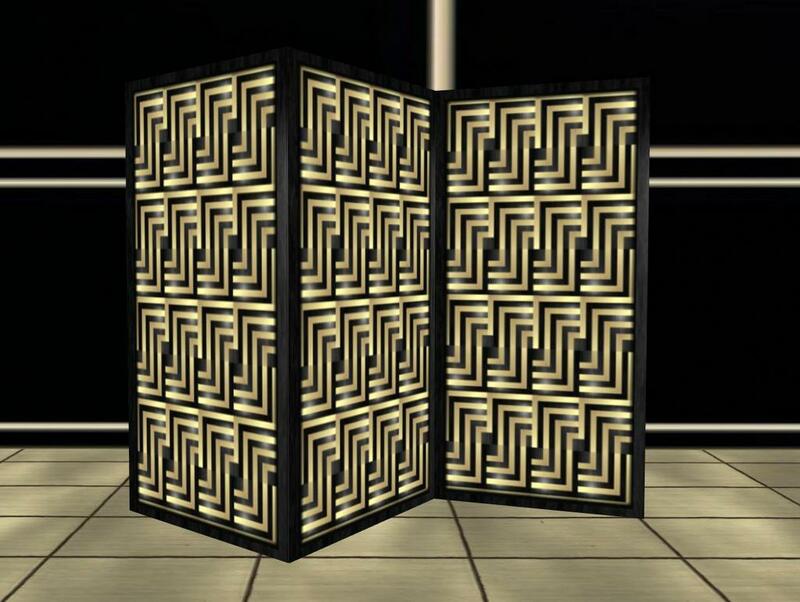 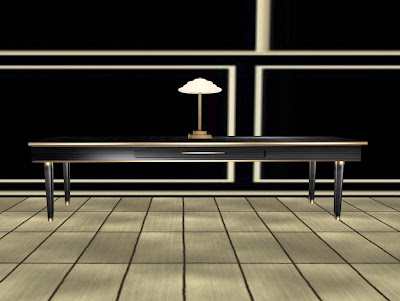 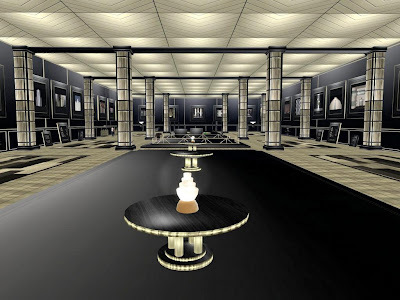 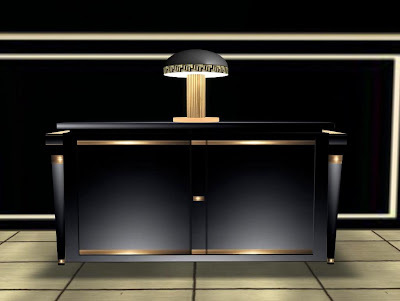 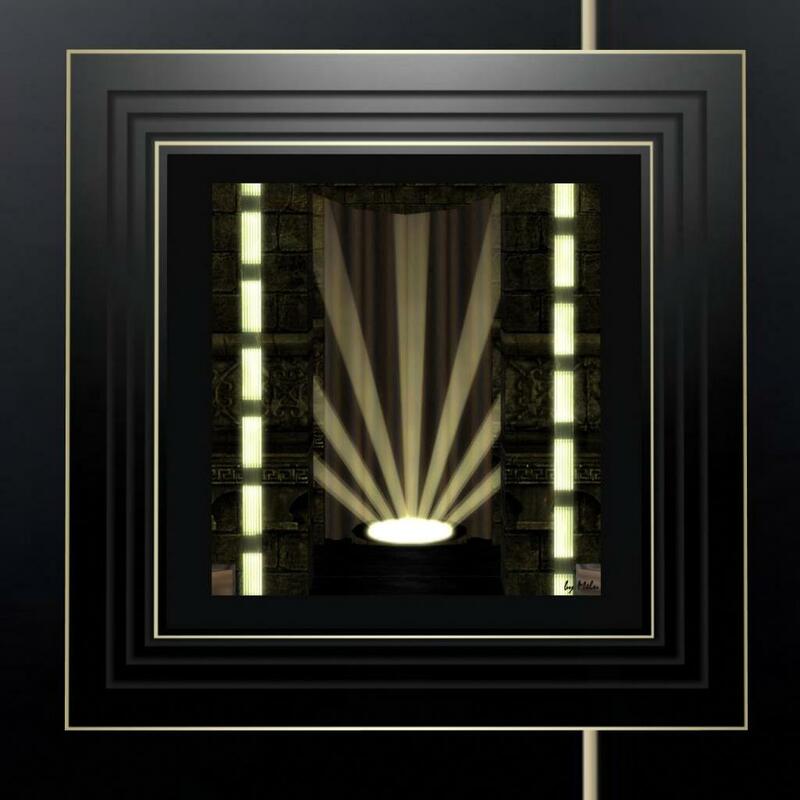 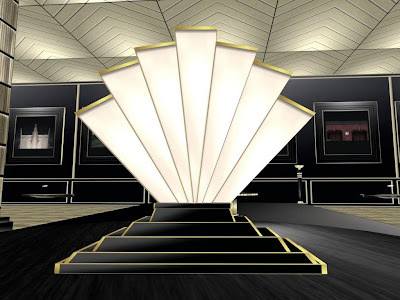 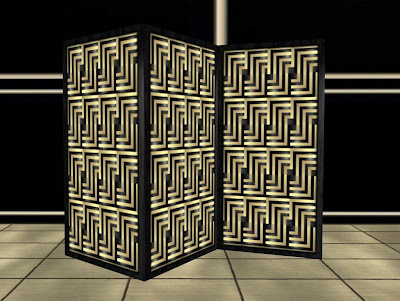 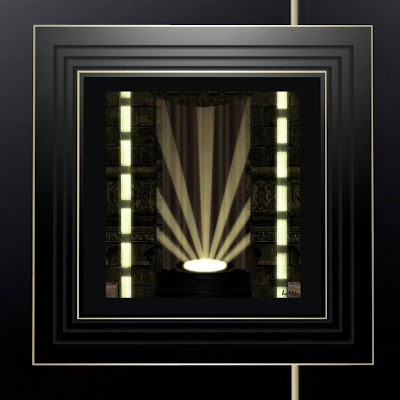 The entire exhibit is an art deco inspired sculpture; you can purchase art, lighting, and furniture on display from a very reasonable range of about $200- 350 linden each. 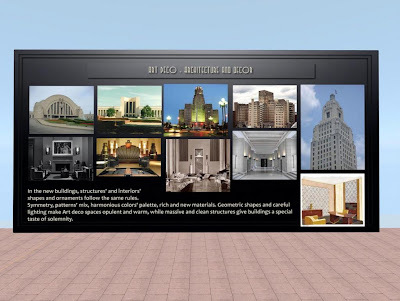 You can also teleport to a skyplatform above to see a very well done exhibit on art deco architecture and design around the world; I show twp pages of this exhibit in the last two photographs below. 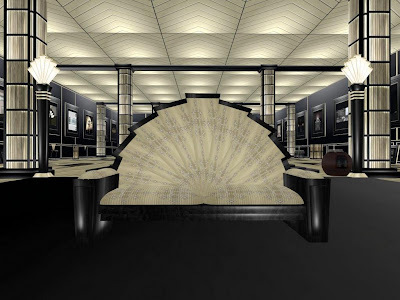 Long view of gallery, which by itself, is a sculptural art exhibit. 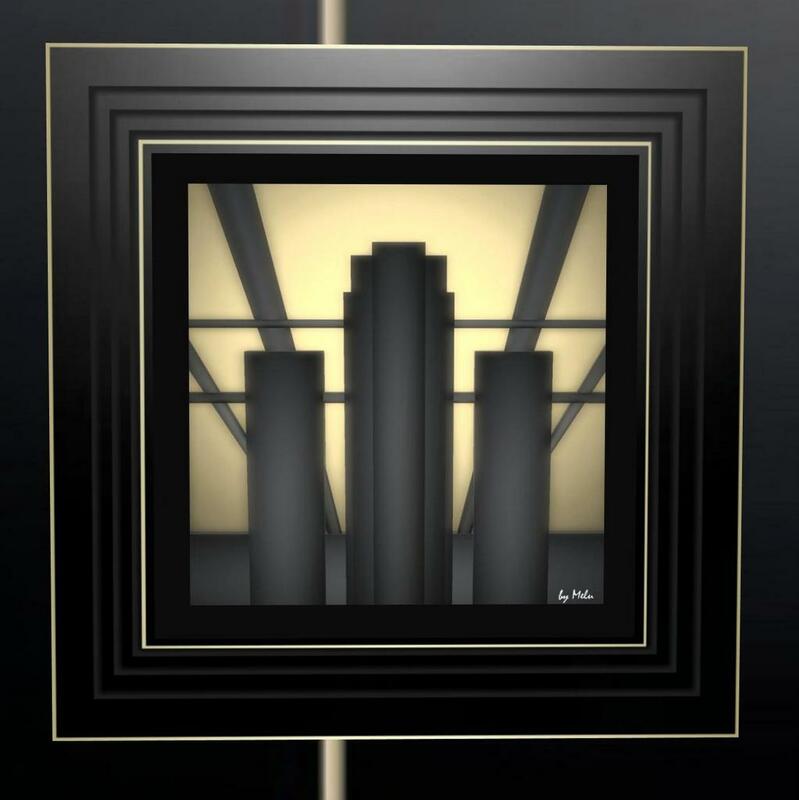 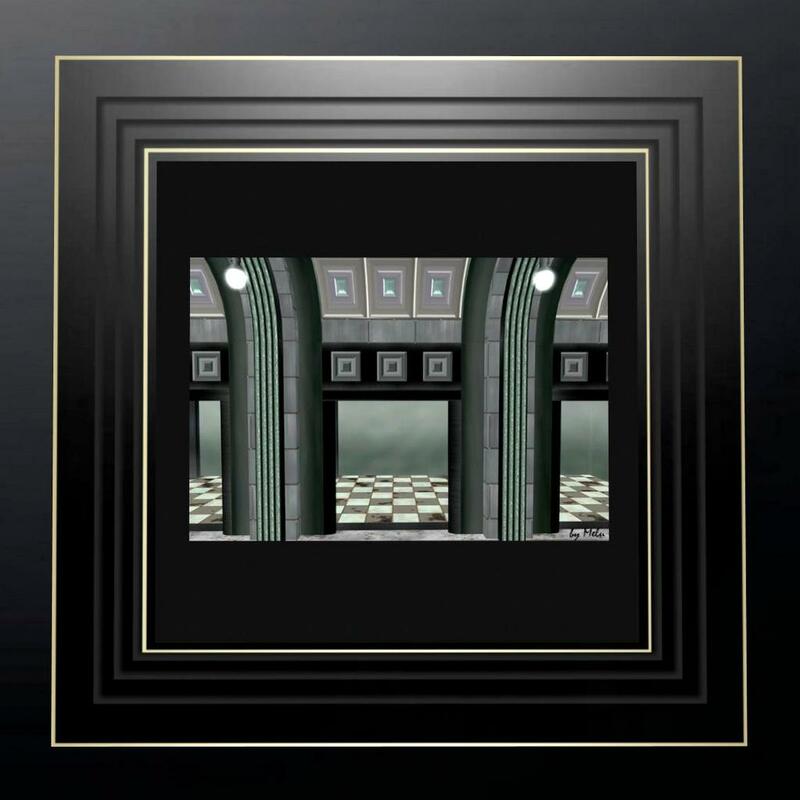 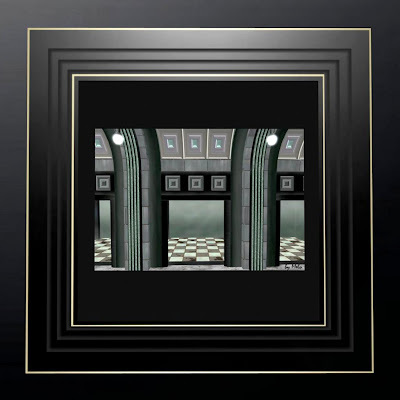 Melusina's Art Deco serigraphs and photographs are available for $200 linden each. 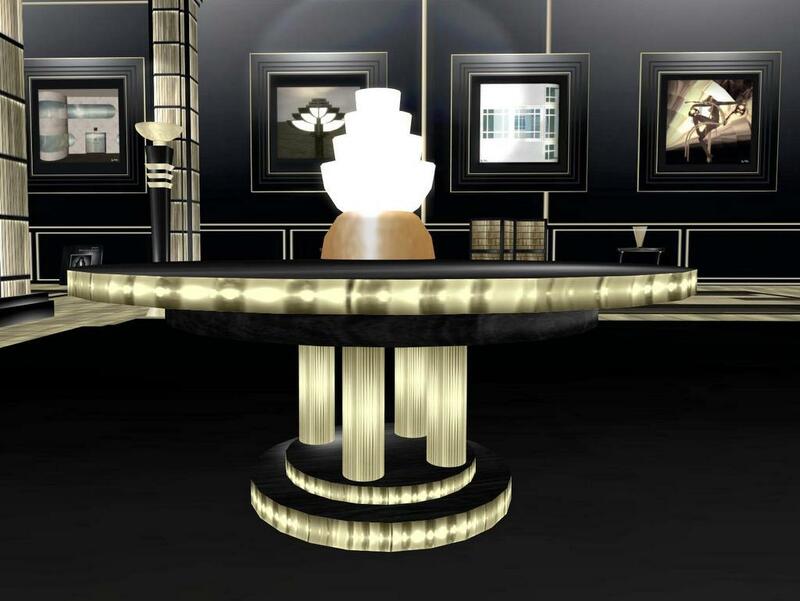 Most furniture and lighting is available for $200 - $350 linden. 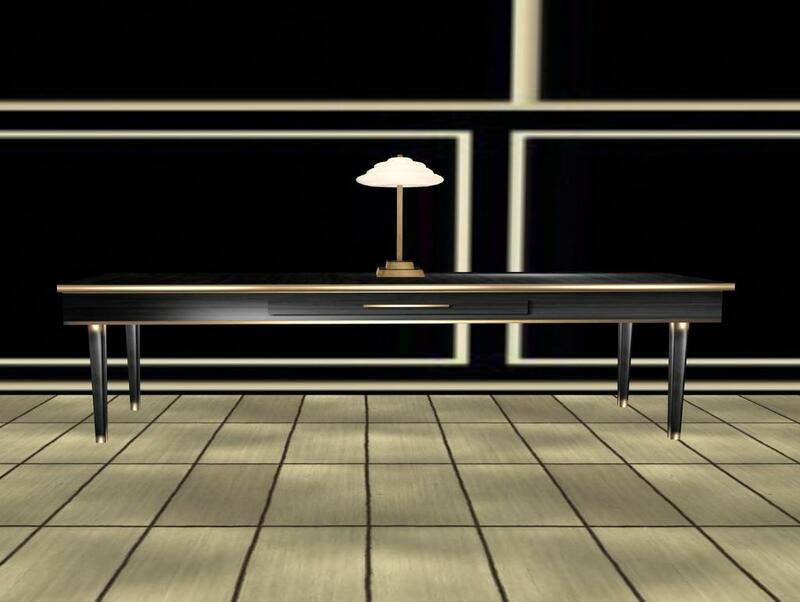 Benja and I purchased two of these well designed lamps at 200 each. 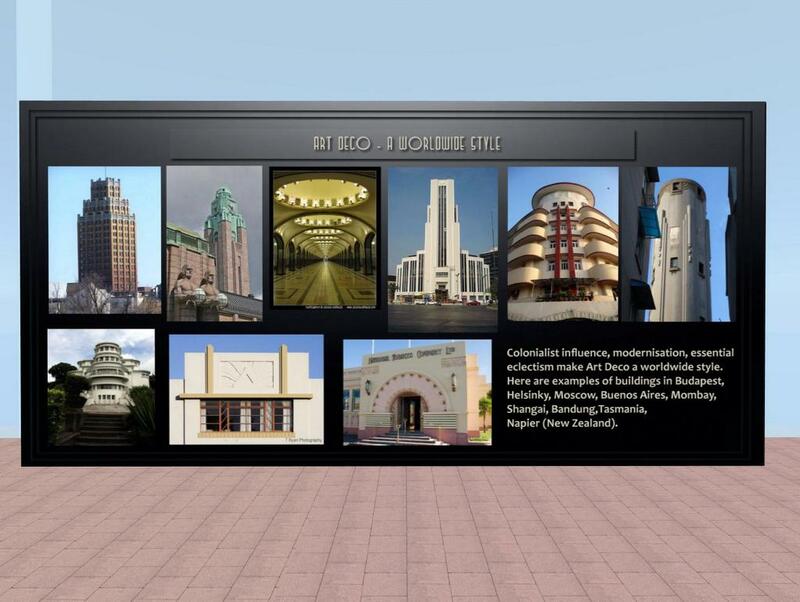 Teleport up to this comprehensive exhibit on Art Deco design and architecture from the main floor. 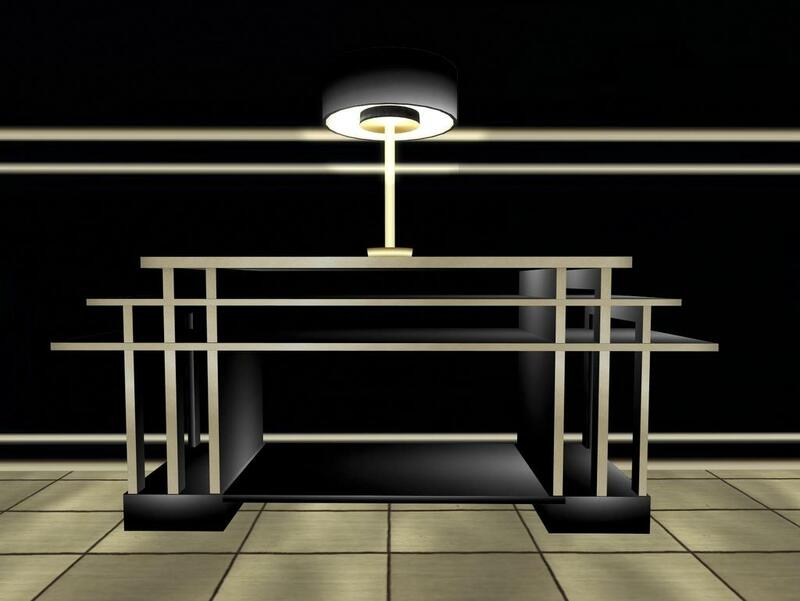 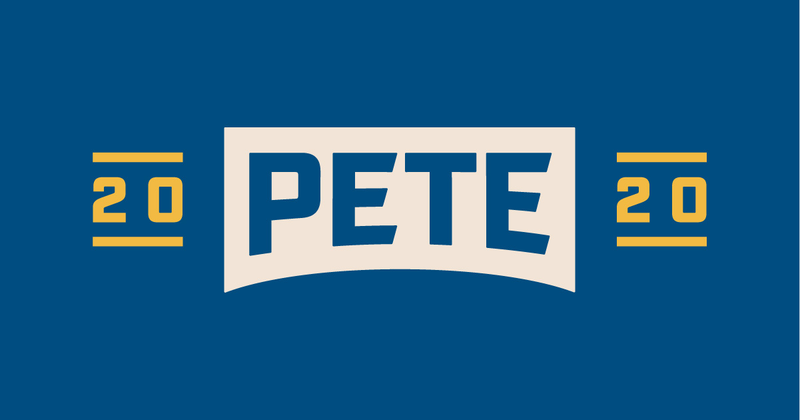 So grateful for this detailed and exhaustive post!